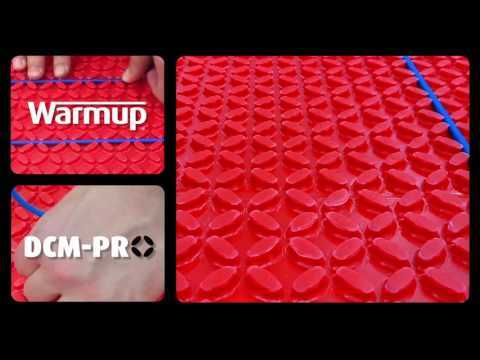 Warmup DCM-M-1 Pro Mat has a Self-adhesive backing attaches directly to the subfloor and eliminates the need for an adhesive layer. Self-healing, decoupling membrane protects floor surface from damage caused by subfloor movement, Membrane design is highly adaptable allowing it to easily run around any obstacles. Lifetime manufacturers warranty when installed with DCM-Pro cable which is available separately. 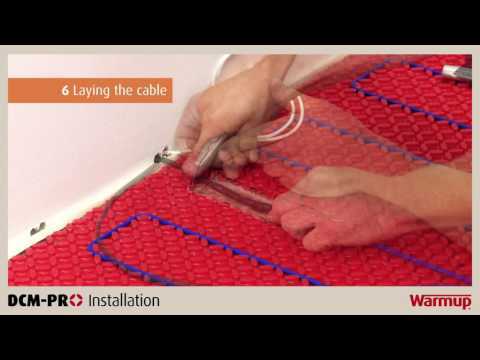 Suitable for use with all UFH-compatible floor coverings.SafetyNet™ installation guarantee*. The DCM-PRO Mat will be covered with self-levelling compound, allowing it to heat and protect any floor covering material that is certified for use with underfloor heating. This includes tiles, engineered wood, vinyl and carpet. With the DCM-Pro mat from Warmup, you can install a whole underfloor heating system in a short space of time, saving you time and hassle. For use in combination with DCM-Pro cable, the mats are 5.5mm thick, with pressure-sensitive adhesive which securely bind them to the floor, keeping them flat for fast and secure installation. Suitable for the following floor types: ceramic, stone, slab, screed, concrete, timber suspended and batten. This innovative system helps protect your floor finish from cracks which may occur due to differences in internal and external temperature.